I saw the math for the Spring event. 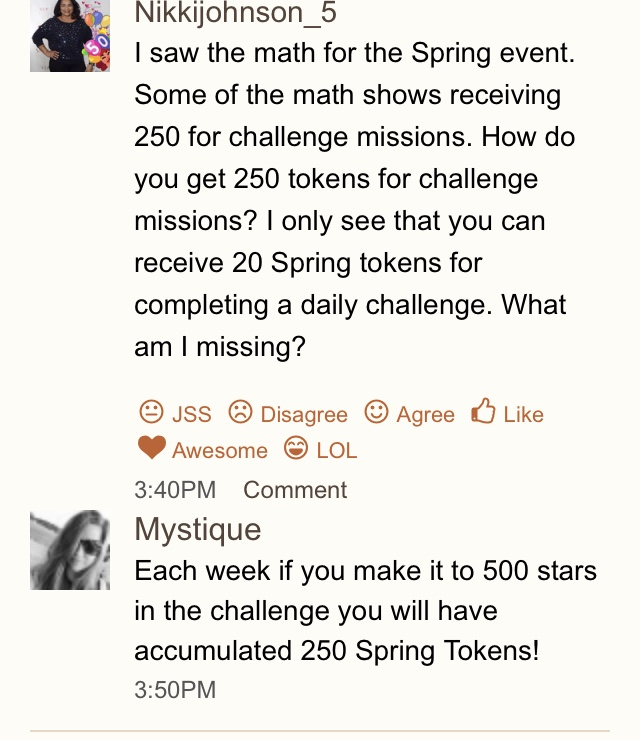 Some of the math shows receiving 250 for challenge missions. How do you get 250 tokens for challenge missions? I only see that you can receive 20 Spring tokens for completing a daily challenge. What am I missing? Thank you so much!!! I never knew that! !